In a home, the kitchen is often the center of all activity. Almost all residents and guests pass through the kitchen and use it for its many purposes – crafting meals, enjoying a snack or a drink together, passing quick conversations over breakfast before work or school, washing hands, and much, much more. The kitchen also receives a lot of water activity, and sometimes it is unwanted water. Spills, steam vapor, pipe leaks, overflowing sinks and a myriad of other problems can strike a kitchen at any time. Especially when living in a tropical climate like Florida or other wet and humid places prone to leaks and flooding, keeping your kitchen dry can feel like a very real and very important challenge. However, there are ways to keep this beautiful and essential space safe and dry in your home. Whether you’re building a kitchen from scratch or just want to update your existing space, check out these three great ways to waterproof your kitchen and protect it from as much potential water damage as you can. If you’re building or redoing your kitchen, an easy way to be smart about waterproofing starts with the materials you use to build and decorate this space. An easy switch to keep your kitchen safe is using tile instead of wood or laminate floor. Tile, when bound together by grout, is sealed off from water. This will keep your floors safer from water, whether it’s a quick spill or a hefty flood. With tile flooring, you can wipe up or drain your kitchen much faster and without fear of further damage, mold or any other underlying issues! While you can swap out flooring choices fairly easily in a new kitchen, choosing cabinet materials may not present as simple of a switch. 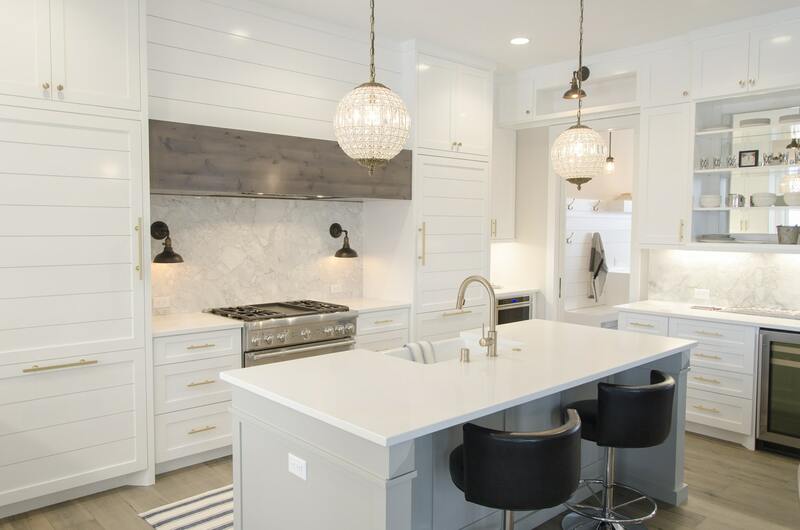 It’s probably pretty practical to believe that your kitchen will include wood cabinetry, which could be damaged by leaky pipes or flooding if left unprotected. Water-damaged wood can also harbor mold, a definite health hazard. Thankfully, there are special cabinets made to be waterproof, weatherproof and life proof. Turning your search for new cabinets to the outdoors can result in some pretty amazing finds. With the rise in popularity of outdoor kitchens, outdoor cabinets have been created to withstand rain, snow and other soggy experiences. Using these cabinets inside can save you a lot of headaches in the future if something were to go wrong. If you’ve already got a kitchen you love and don’t have the desire, time or budget to replace any of its existing features, have no fear. Thankfully, tools have been created to help protect your kitchen as well. There are ways to waterproof your kitchen, mainly your cabinets, that can make a big improvement with just a little time and elbow grease. First, protect the insides of your cabinets with vinyl tiles. These tiles usually run incredibly cheap, and many come with peel and stick adhesive already fixed on the back. Use these tiles to cover the plywood bottoms of your cabinets. This will help protect the wood from inevitable, daily drips, small leaks and spills. Also, be sure to laminate your cabinets. Laminate can be found at any home improvement store and will add an essential extra barrier between the wood of your cabinets and water, preventing damage. You can laminate your cabinets yourself with a little sandpaper, wood glue and some nails, or you can call a professional to do it for you. Either way, this is a step that should not be skipped. What If Water Has Already Struck? Your kitchen is a beautiful space that deserves the protection it needs to continue to thrive. Accidents happen easily and quickly, so don’t delay on taking these steps to preserve your space. But if you’re already dealing with a water damage crisis, don’t fret. It doesn’t mean the end of your kitchen. It will mean, however, that you will need to contact true experts in water damage restoration. If you do live in a humid state, like Florida, you will want to be sure to find Florida property restoration experts who specialize in the efforts and techniques required to repair water damage when the climate is so naturally wet and humid. It will take a bit more work, but you will be able to get your kitchen back. So, go forth, and enjoy your water-proofed kitchen free of anxiety!